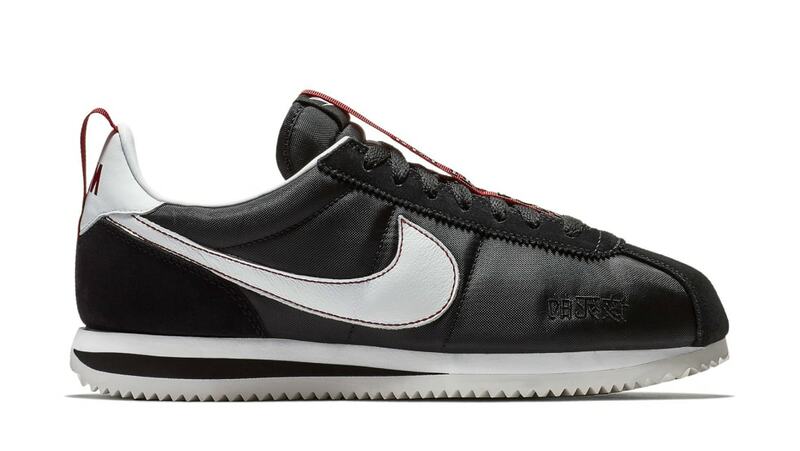 Nike Kendrick Lamar x Nike "Cortez Kenny III"
Part of The Championship Tour, Nike and Kendrick Lamar are releasing the Nike Cortez Kenny III in a black nylon upper with white and gym red accents throughout. Release date is June 22, 2018 at a retail price of $100. News Kendrick Lamar x Nike "Cortez Kenny III"